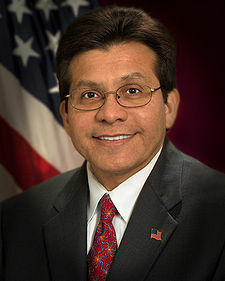 Alberto Gonzales, former U.S. attorney general in President George W. Bush’s administration, remains as largely vilified figure — often cited in law school’s in discussion of how lawyers can be corrupted by power to jettison basic ethical and professional values. Gonzales is widely blamed for politicizing the Justice Department, destroying its credibility, appointing substandard officials, and turning a blind eye to egregious violations like the torture and surveillance programs. That record has made it difficult for Gonzales to find a job. He recently took a political science position at Texas Tech, viewed by many as a telling choice since he acted with more attention to politics than the law in his career. Now Gonzales has been named dean of Belmont University’s nearly 3-year-old law school. He had previously accepted a teaching position at the school. Gonzales has been teaching constitutional law courses, a rather frightening thought given his history. He has also been working for Nashville’s Waller law firm, one of the few firms willing to embrace this highly denigrated figure. Waller was criticized for its decision to hire Gonzales who personifies for many the victory of ambition over principle. Gonzales has declared that he is committed “to make Belmont the greatest law school that it can be.” Given the fact that Gonzales took a department with a stellar reputation and devastated both its professionalism and reputation, that statement is rather chilling. Why does the united States of America have B.A.R. Association? Oops, meant to post that in Cheney thread.